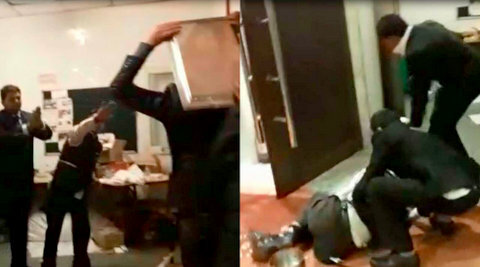 NEW DELHI: Furious over the quality of food being served at Piccadily Hotel in Janakpuri, New Delhi, wedding guests turned violent and started smashing cutlery. The incident took place yesterday after guests complained of being served cold food. The guests created havoc by smashing the entire cutlery and also allegedly assaulted hotel staff. While bride’s family came from Vikaspuri, the groom’s family had come from Uttam Nagar in Delhi. It has been reported that people from both the sides – bride and groom – were found guilty of being violent and most of them have been arrested and charged with disturbing public peace, assaulting hotel staff and damaging hotel property.